Russell Beck, Stephen Reed, Stephen Riden, and Barry Guryan have been recognized as Super Lawyers by the 2018 issue of Massachusetts Super Lawyers Magazine. In addition, Hannah Joseph has been recognized as a Rising Star by the Magazine. In addition, Super Lawyers Magazine has selected Russell Beck and Stephen Riden as two of the Top 100 Super Lawyers in Massachusetts for 2018. Russell Beck has also been named as one of the Top 100 Super Lawyers in New England for 2018. 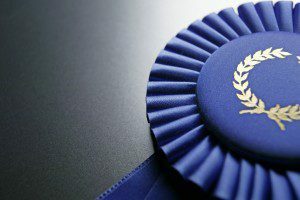 The title of Super Lawyer is given to 5% of the lawyers in the Commonwealth while the Rising Star designation recognizes 2.5% of lawyers under 40. The Super Lawyers selection process is described in detail here. is Boston’s innovative litigation boutique. Our lawyers have years of experience at large law firms, working with clients ranging from Fortune 500 companies to start-ups and individuals. We focus on business litigation and labor and employment. We are experienced litigators and counselors, helping our clients as business partners to resolve issues and develop strategies that best meet our clients’ legal and business needs – before, during, and after litigation. We’re ready to roll up our sleeves and help you. Read more about us, the types of matters we handle, and what we can do for you here. The article discusses various attempts to trademark the word covfefe after the President coined the word on Twitter. So who really has the right to call “covfefe” his or her own? “The question really that is interesting is who is going to get the right to it first, and whether Trump has any trademark rights at all,” said Hannah T. Joseph, an attorney who practices intellectual property law. 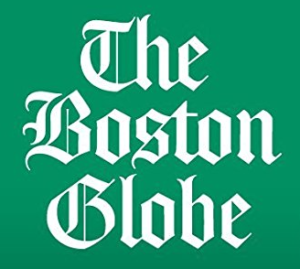 The article was written by Boston Globe correspondent, Claire Parker. 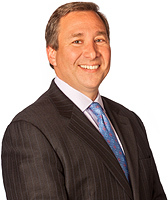 Beck Reed Riden LLP is Boston’s innovative litigation boutique. Our lawyers have years of experience at large law firms, working with clients ranging from Fortune 500 companies to start-ups and individuals. We focus on business litigation and labor and employment. We are experienced litigators and counselors, helping our clients as business partners to resolve issues and develop strategies that best meet our clients’ legal and business needs – before, during, and after litigation. We’re ready to roll up our sleeves and help you. Read more about us, the types of matters we handle, and what we can do for you here. he Business Litigation Session of the Massachusetts Superior Court recently dismissed a noncompete case against a California employee on the basis of forum non conveniens, notwithstanding a Massachusetts forum selection clause and a Massachusetts choice-of-law provision in the defendant’s employment agreement. The case is titled Oxford Global Resources, LLC v. Hernandez, and it was issued on June 9, 2017. This decision calls into question the enforceability of forum selection and choice-of-law provisions in employment agreements with California employees. The decision also characterizes employment agreements (especially with low-level employees) as “contracts of adhesion” that may be subject to more careful judicial scrutiny. Finally, as discussed below, the Hernandez opinion takes a dim view of what constitutes an employer’s “confidential information,” highlighting existing tension in Massachusetts case law. efendant Jeremy Hernandez was a California resident who was recruited, hired, and employed by Plaintiff Oxford Global Resources, LLC, in California. Hernandez’s employment with Oxford was conditioned on his signing a “protective covenants agreement,” which contained confidentiality, noncompete, and nonsolicitation obligations, as well as a Massachusetts choice-of-law provision and a Massachusetts forum selection clause. Oxford filed the case claiming that Hernandez breached his agreement when he used Oxford’s confidential information to solicit its clients on behalf of a competitor. Hernandez moved to dismiss the case on the basis of forum non conveniens. Oxford would not have hired Hernandez if he did not sign the agreement. Oxford did not allege or offer any evidence suggesting that the parties negotiated the choice-of-law or forum selection provisions, or that Oxford had even demonstrated a willingness to discuss the issues. Hernandez started as an entry-level employee at $50,000 annual salary. Hernandez possessed no prior industry skill or experience that would have given him bargaining power to negotiate the agreement. Notably, the Court did not give any weight to “boilerplate language” in the agreement stating that Hernandez had read the agreement and had the opportunity to have his own lawyer review it. The Court next found that enforcing the agreement’s Massachusetts choice-of-law provision would result in “substantial injustice” to Hernandez. 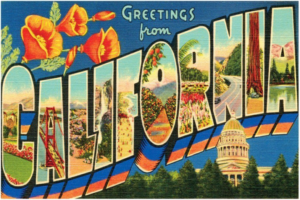 Because Hernandez was a California resident who was recruited, hired, and employed there, California law (generally voiding noncompetes) would otherwise govern the dispute absent a choice-of-law provision. The court ruled that enforcing the provision would deny Hernandez the protections of California law and subject him to a noncompete. The non-competition restriction that Oxford seeks to enforce therefore goes far beyond what is permitted under California law or, for that matter, under Massachusetts law. An employee is free to carry away his own memory of customers’ names, needs, and habits and use that information, even to serve or to solicit business from those very customers. Such “remembered information” is not confidential because the information itself, as distinguished from an employer’s compilation of such information into a list or database, is known to the customers and thus not kept secret by the employer. Since the mere identity of customers is not confidential, the Agreement that Oxford seeks to enforce is the kind of non-competition agreement that is void under California law. Accordingly, the Court held that the choice-of-law provision was not enforceable. Finding that it was evident that Oxford sought to include a Massachusetts forum selection clause in order to avoid the application of California law, the Court also held that the forum selection clause was not enforceable under California law. Ultimately, the Court dismissed the case on grounds of forum non conveniens, finding that it would be unfair to compel Hernandez to defend in Massachusetts and that California had a stronger interest in the case. ernandez not only underscores the difficulty of enforcing restrictive covenants against California residents, but also generally calls into question the validity of choice-of-law and forum selection clauses, especially where the employee has had no meaningful opportunity to negotiate the terms of his employment agreement. Notably, in characterizing the employment agreement as a “contract of adhesion,” the Court in Hernandez gave no weight to the affirmative representations in the agreement (stating that the employee had read and had opportunity to have his attorney review the agreement). Historically, the Superior Court has given varying degrees of weight to these types of affirmative representations. Moreover, Hernandez adds to the argument that (in some instances) employees are permitted to use their employer’s confidential information concerning client names, needs, and habits, as long as that information is “remembered” rather than compiled into a list or database. In this respect, Hernandez highlights the tension that exists in Massachusetts case law regarding confidential information that is stored in an employee’s memory. Given the evolving case law on these issues, businesses seeking to protect their confidential information should consult with their attorneys before drafting or enforcing these types of agreements. Hannah T. Joseph, the author of this article, is a lawyer in the firm’s litigation practice, whose work in intellectual property has been recognized by, among others, the Boston Bar Association (where she serves as Co-Chair of the Boston Bar Association’s Intellectual Property Committee). Thank you to Monika Zarski for contributing to this article. On June 19, 2017, the United States Supreme Court in Matal v. Tam struck down the Lanham Act’s disparagement clause, which prohibits the registration of disparaging trademarks, finding that the provision violates the Free Speech Clause of the First Amendment. 582 U.S. __, No. 15-1293, 2017 WL 2621315 (U.S. June 19, 2017). In an 8-0 ruling, the Court held that trademarks are private speech, not government speech or the subject of government subsidies or programs which may be withheld by the government. The Court further held that, even if trademarks are commercial speech, the disparagement clause cannot withstand relaxed scrutiny because it was not narrowly tailored to prevent discriminatory and demeaning trademarks. Consequently, the Court found the disparagement clause to be facially unconstitutional under the First Amendment. Under Tam, the U.S. Patent and Trademark Office (USPTO) may no longer deny trademark registrations on the basis that the marks may be disparaging. Accordingly, Tam will undoubtedly have far-reaching consequences in the business community (and, not to mention, finally resolve the Washington Redskins case). The Lanham Act’s disparagement clause prohibits the registration of trademarks “which may disparage . . . persons, living or dead, institutions, beliefs, or national symbols, or bring them into contempt, or disrepute . . . .” 15 U.S.C. § 1052(a). 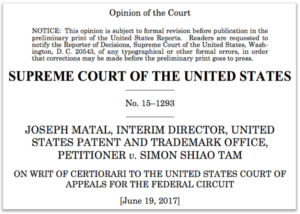 Under the disparagement clause, the USPTO will find a prima facie case of disparagement where (1) the trademark refers to “identifiable persons, institutions, beliefs or national symbols,” and (2) a substantial percentage of the referenced group, “in the context of contemporary attitudes,” would consider the mark to be disparaging. Once a prima facie case is made, the burden shifts to the applicant of the mark to prove that the mark is not disparaging. The USPTO has clarified that the fact that the applicant is a member of the referenced group or has good intentions in using the mark does not change the analysis. Simon Tam is the lead singer of “The Slants,” an Asian-American rock band. 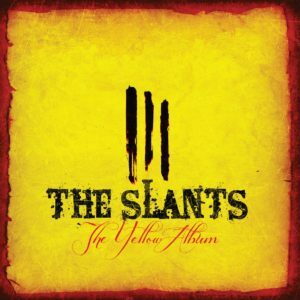 He chose the name “The Slants,” a variant of an ethnic slur, in order to reclaim stereotypes about people of Asian ethnicity. In 2010, he applied to register the band name with the USPTO’s principal register. The USPTO rejected the application, finding that “there is . . . a substantial composite of persons who find the term in the applied-for mark offensive.” Tam contested the decision before the examiner and the USPTO’s Trademark Trial and Appeal Board (TTAB), but was denied. Tam took the case to court, and the Federal Circuit ultimately held that the disparagement clause is facially unconstitutional under the First Amendment’s Free Speech Clause. The court held that the clause engages in viewpoint-based discrimination, regulating the expressive component of trademarks which cannot be treated as commercial speech, and that the clause cannot survive strict scrutiny. The government filed a petition for certiorari, which the U.S. Supreme Court granted on the issue of whether the disparagement clause is facially invalid under the First Amendment. Next, the Court addressed the government’s arguments that trademarks are government speech, that they are a form of government subsidy, and that the disparagement clause should be tested under the “government-program” doctrine. Second, the Court held that trademarks are not government-subsidized speech and, accordingly, the government could not justify the disparagement clause on the rationale that it is not required to subsidize activities that it does not wish to promote. Among other things, the Court noted that the USPTO does not pay applicants seeking to register a mark – rather, applicants pay the USPTO filing and other fees. Finally, the Court held that “government-program” cases involving the collection of union dues by public employers were inapplicable to the registration of trademarks. There is also a deeper problem with the argument that commercial speech may be cleansed of any expression likely to cause offense. The commercial market is well stocked with merchandise that disparages prominent figures and groups, and the line between commercial and non-commercial speech is not always clear, as this case illustrates. If affixing the commercial label permits the suppression of any speech that may lead to political or social “volatility,” free speech would be endangered. With the disparagement clause of the Lanham Act struck down, the USPTO may no longer reject trademark registration applications because the trademarks are disparaging or offensive to a specific group, institution, belief, or symbol. This will undoubtedly result in the registration of myriad words, phrases, and marks that are considered by many to be derogatory. This also leaves the door open for the government to draft a more narrowly-tailored disparagement clause if it chooses to do so. The Tam case also signals a new chapter that calls into doubt other aspects of well-established trademark law. See 15 U.S.C. § 1052(a) (addressing immoral, deceptive, or scandalous matter). The full import of this case and its effect on the future of trademark law is uncertain. Hannah T. Joseph, the author of this case summary, is an associate with the firm, whose work in intellectual property has been recognized by, among others, the Boston Globe (Can you trademark ‘covfefe’? These people and companies are trying) and at the Boston Bar (where she serves as Co-Chair of the Boston Bar Association’s Intellectual Property Committee). 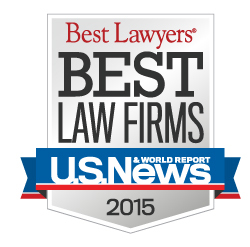 eck Reed Riden LLP is Boston’s innovative litigation boutique. Our hand-picked team of lawyers have years of experience at large law firms, working with clients ranging from Fortune 500 companies to start-ups and individuals. We focus on business litigation and labor and employment, and are recognized as a leading authority in trade secret, noncompete, and unfair competition law. We are experienced litigators and counselors, helping our clients as business partners to resolve issues and develop strategies that best meet our clients’ legal and business needs – before, during, and after litigation. We’re ready to roll up our sleeves and help you. Read more about us, the types of matters we handle, and what we can do for you here. The story is about the Boston Associates’ Networking Group (BANG), which was co-founded by Hannah and Jessica L. Conklin (of Laredo & Smith LLP). It all started with a humor column in a bar association publication about ways to relax while waiting for bar exam results. The piece resonated with Jessica L. Conklin, so she decided to invite the author, Hannah T. Joseph, a fellow Boston College Law School alum, to coffee. Before the two Boston associates knew it, they were bonding over their shared experience of working at a boutique law firm, both grateful for the variety of work and opportunity for informal interactions with partners. But they also lamented that their big-firm peers had a benefit unavailable to them: a ready-made group of other associates with whom to discuss legal issues and form social ties. So Conklin and Joseph decided to replicate the connection they had made with each other on a larger scale. Earlier this year, they formally launched the Boston Associates’ Networking Group — or BANG — for associates at small and midsize firms and in-house legal departments. “When you’re in a room or on a floor with 15 to 20 other associates, there’s a word-of-mouth information exchange that happens naturally. We’re trying to re-create that,” says Joseph, who practices at Beck, Reed, Riden. The group, which now includes some three dozen members from about 30 firms and companies, meets for a monthly lunch sponsored by one of the members’ firms. The willingness of those firms to host BANG “speaks volumes” about their support, according to Joseph. “They realize that an important part of practicing law in Boston is engaging in the legal community,” she says. The article is by Massachusetts Lawyers Weekly’s reporter, Sheri Qualters. You can visit BANG’s website at www.bang-law.com. Hannah T. Joseph has been selected to join the Boston Bar Association’s Public Interest Leadership Program class of 2016-2017. Hannah was chosen based on her demonstrated dedication to public service and history of organizing bar action. She now joins 16 of her professional peers, representing a variety of practice areas, to engage in the 14-month intensive program. Now in its 13th year, the Public Interest Leadership Program engages selected attorneys to advance their roles in public service and leadership in the legal community. 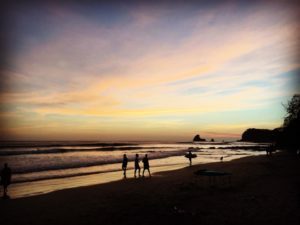 During the 14-month program, PILP members will have the opportunity to, among other things, connect with leaders at meetings and events, and to work together to grow a philanthropic program from inception to fruition. The 2016-2017 class members join 153 notable PILP alumni in their mission to provide leadership and service. Hannah is a third-year associate at Beck Reed Riden LLP, specializing in complex business litigation, trade secret and noncompete matters, and employment law. She currently serves as the Boston Bar Association’s Intellectual Property Committee Co-Chair. Prior to that, she served as a liaison between the BBA’s Intellectual Property Law Section and the New Lawyers Section. 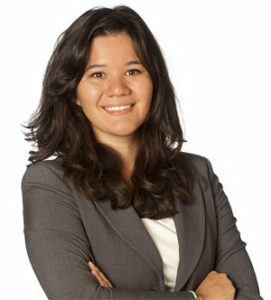 In addition to her work with the BBA, Hannah is a member of the Massachusetts Bar Association and the Asian American Lawyers Association of Massachusetts. Hannah is Co-Founder of the Boston Associates’ Networking Group (BANG). She is also a proud Big Sister with the Big Sister Association of Greater Boston. On March 8, 2016, Hannah T. Joseph, along with Jessica L. Conklin (of Laredo & Smith LLP), launched the official website for the Boston Associates’ Networking Group (BANG). Established by Hannah and Jessica at the end of 2015, BANG is designed to bring together associates from different small- and medium-sized firms, as well as in-house legal departments. The organization serves as a platform for junior attorneys to support one another, to explore opportunities for professional, personal, and business development, and to discuss the various issues that often arise in practice. In just a few months, BANG has grown to include members from more than 20 firms and companies in the Greater Boston Area. The website, which provides member associates with a distinct and close-knit network, visibility, and other resources, will play an integral role in the organization’s model moving forward. You can visit the website at www.bang-law.com. Russell Beck and Hannah Joseph will speak about protecting trade secrets from insider threats (i.e., employees) at the Boston Bar Association today. More information is available here. Attendees at today’s event will learn how to draft nondisclosure agreements and other restrictive covenants, what policies to implement within the workplace, and what steps should be taken with respect to both new and departing employees. Russell Beck is a member of the Board of Trustees of the Boston Bar Foundation, which is the official charity of the Boston Bar Association. 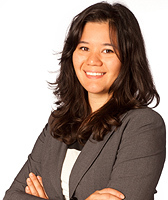 Hannah Joseph is a member of the Boston Bar Association’s Intellectual Property Law Committee. is Boston’s innovative litigation boutique. Our lawyers have years of experience at large law firms, working with clients ranging from Fortune 500 companies to start-ups and individuals. We focus on business litigation and labor and employment. We are experienced litigators and counselors, helping our clients as business partners to resolve issues and develop strategies that best meet our clients’ legal and business needs – before, during, and after litigation. We’re ready to roll up our sleeves and help you. Read more about us, the types of matters Beck Reed Riden LLP handles, and what we can do for you here. R ussell Beck will be covering trade secrets at the Boston Bar Association’s 16th Annual Intellectual Property Year in Review. The event will be held today, January 21, 2016, from 3:00 to 6:30, with a reception to follow. More information is available here. Hannah Joseph, a member of the Boston Bar Association’s Intellectual Property Law Committee, will be introducing speakers at today’s event. This year’s program will feature keynote speaker Professor Michael Meurer of Boston University School of Law. Photos from a prior BBA Intellectual Property Year in Review event can be found here and here. is among the leading authorities in trade secret, noncompete, and unfair competition law, and our experience handling these matters is backed by our extensive employment law and business litigation experience. 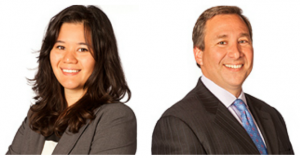 Our hand-picked team combines attorneys with complementary expertise and practical experience. 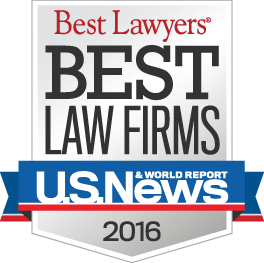 The Wall Street Journal recently featured Beck Reed Riden LLP’s noncompete agreement experience. Hannah Joseph, along with Jessica Conklin of Laredo & Smith, LLP, have co-founded the Boston Associates’ Networking Group. The group is designed to bring together associates from different small- and medium-sized law firms. The founders’ goal is to develop relationships among associates at similar-sized firms and to discuss the various issues that often arise in practice. The first Boston Associates’ Networking Group lunch will be held at noon on December 10, 2015 at the offices of Laredo & Smith, LLP, at 101 Federal Street, Suite 605, in downtown Boston. This week’s networking lunch is co-sponsored by Laredo & Smith, LLP and Beck Reed Riden LLP. Hannah Joseph is an associate at Beck Reed Riden LLP. Hannah’s experience includes employment law, litigation, client counseling, and governmental regulation. 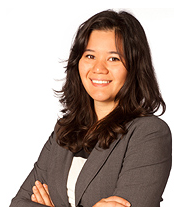 Hannah is an active member of the Boston Bar Association, the Women’s Bar Association, and the Asian American Lawyers Association of Massachusetts.